I had been meaning for the longest time to purchase some of the much talked about Topshop make up, but had never got round to it. So when the recent sale went live on their website, I made my first Topshop make up purchase! 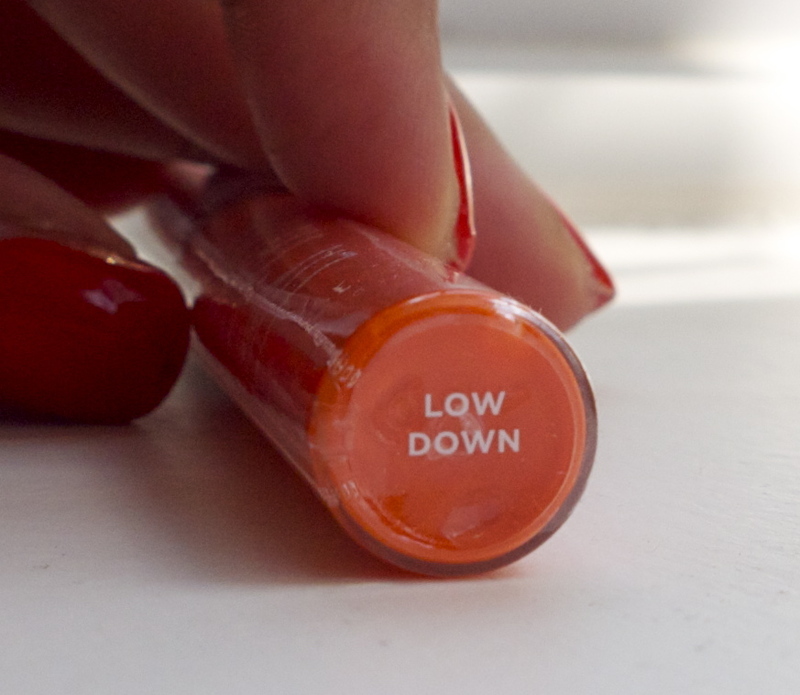 I bought the Lip Paint in a cool (and very bright) orange colour called 'Low Down'. 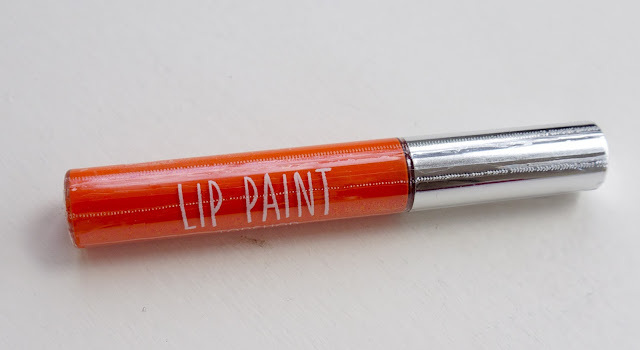 The lip paints are very pigmented, between a gloss and a lipstick. The colour Low Down is very bright (see swatch below) and if I am honest does not look right at all if applied fully to the lips as you would apply a normal lipstick or gloss. 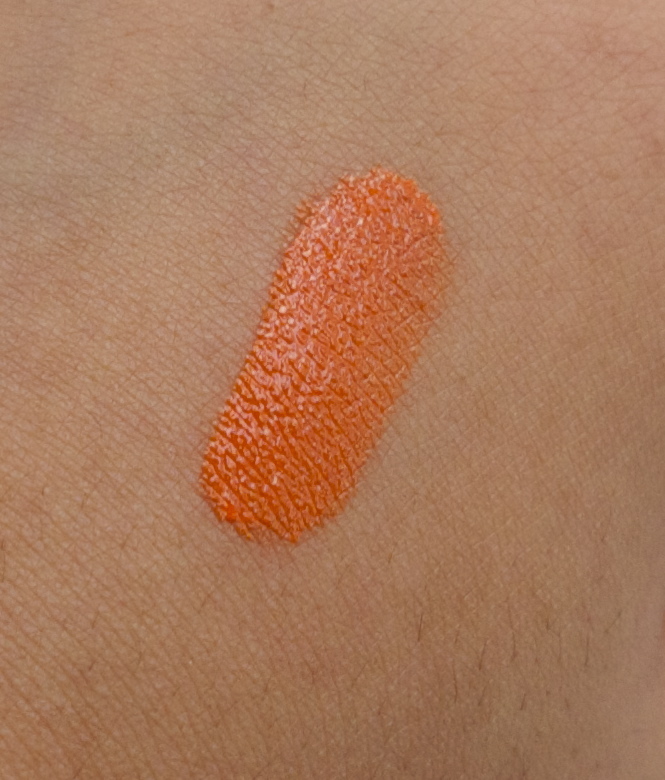 However, I like to swipe the colour over my bottom lip, press my lips together and blur out the edges with my finger - this creates the perfect orange lip! The lip paints are not drying, but I do like to pop some lip balm on before I apply them. This colour is great for summer, and can be built up or toned down to suit anyone. A good first impression from Topshop make up for me, I certainly will be keeping my eyes peeled for my potential second purchase!